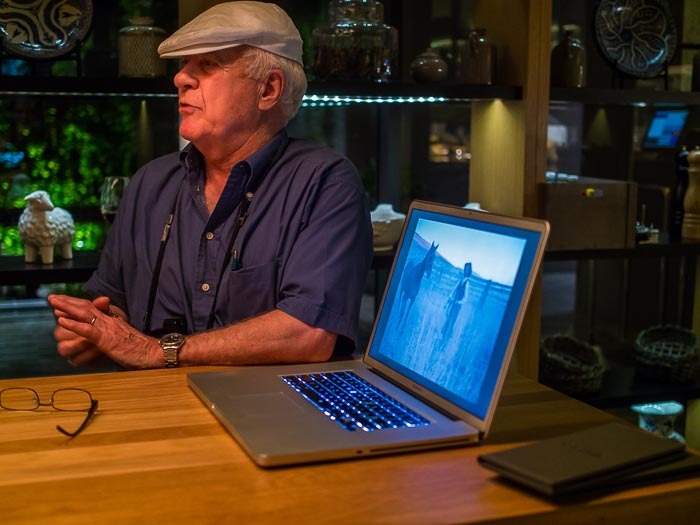 National Geographic photographer William Albert Allard talks about one of his iconic photos at a Bangkok Photo Club meeting last week. I took a little break from photography this week to help out at a Bangkok Photo School "Beyond the Frame" workshop with William Albert Allard. 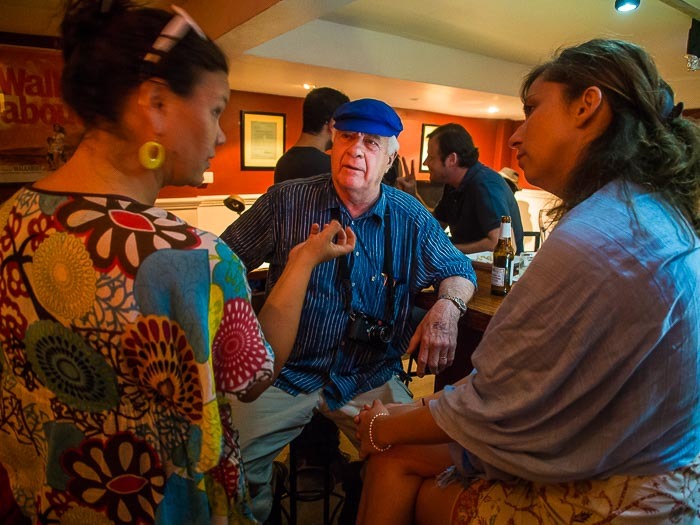 The workshop was organized and meticulously well run by Gavin Gough, a fellow photographer living in Bangkok. Bill Allard talks to workshop participants after we watched some documentary clips. 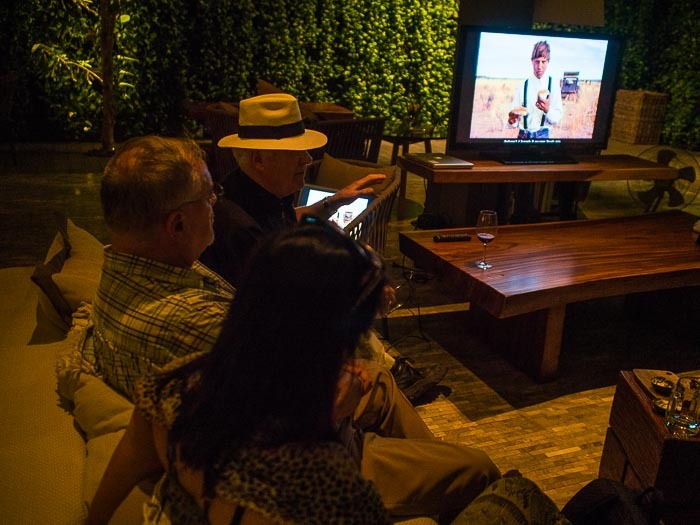 One of the workshop activities was a night of watching clips from documentaries about photographers and photography at the Friese-Greene Club, a great venue for seeing films or just relaxing. We had 14 participants from around the world - people came from Hong Kong, Mexico, Canada, Switzerland, Germany, Kazakhstan, the US and of course Thailand to work with Bill and Gavin. It was a very talented group. I had a lot of fun working with our students and spending time with Bill, who has been a huge influence on my own photography. Bill, in the white hat, talks about gestures and one of his Montana photos during the workshop. Participating in a workshop as an instructor is completely different from participating as a student. This week, it wasn't about making my own photos, but rather about helping students make their own photos better. I think this is the longest break from my own photography I've taken since coming to Bangkok. Now that the workshop is over and everybody safely home I plan get back on the streets to make my own photos. Chinese New Year is just around the corner!